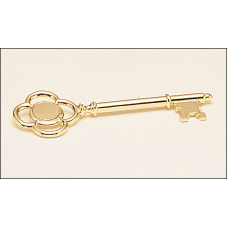 5107 Goldtone plated key with engraving disc. 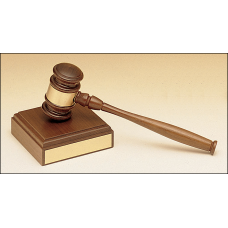 5116 American walnut gavel with engraving band. 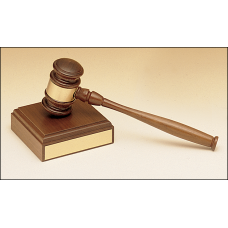 735 Removable gavel on an American walnut base. 737 American walnut sounding block with name plate. 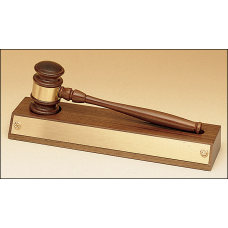 PG1686 American walnut plaque with an antique bronze gavel casting. 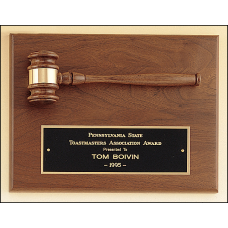 9" x 12" PlaqueGavel band not engravable.Laser engravable plate.Solid brass engraving plate.Individu..
PG1687 American walnut plaque with walnut gavel. 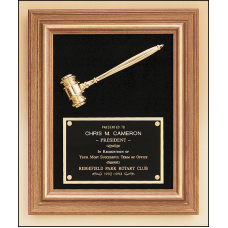 11" X 15" PlaqueGavel band not engravable.Laser engravable plate.Solid brass engraving plate.Individ..
PG2440 American walnut frame with a gold electroplated metal gavel on Black velour background. 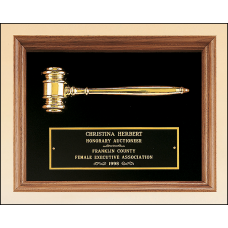 10" x 13" PlaqueGavel band not engravable.Laser engravable plate.Solid brass engraving plate.Individ..
PG2442 American walnut frame with a gold electroplated metal gavel on Black velour background. 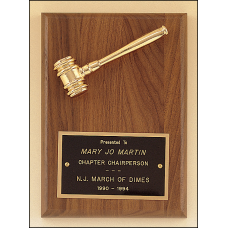 15" x 18" PlaqueGavel band not engravable.Laser engravable plate.Solid brass engraving plate.Individ..
PG2780 American walnut plaque with a goldtone metal gavel. 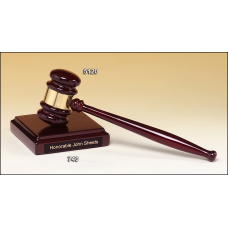 PG2782 American walnut plaque with walnut gavel. 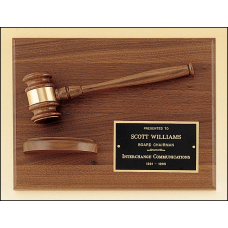 PG2784-X American walnut plaque with walnut gavel and activity insert. 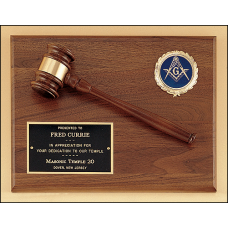 PG2786 American walnut plaque with walnut gavel. PG3408 American walnut frame with a gold electroplated metal gavel on Maroon velour background. 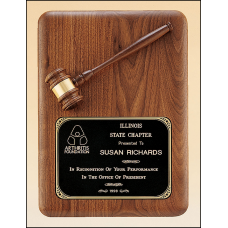 10" x 13" Plaque Black Shown.Gavel band not engravable.Laser engravable plate.Solid brass engraving ..
PG3412 American walnut frame with a gold electroplated metal gavel on Maroon velour background. 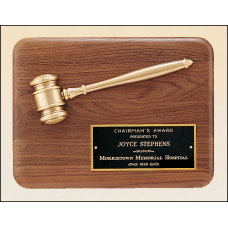 15" x 18" Plaque Black Shown.Gavel band not engravable.Laser engravable plate.Solid brass engraving ..